Death Cab For Cutie – Codes and Keys 4.5/10 One thing you will notice after just a few songs, is just how boring this album is. DCFC had traded in the guitar hooks for repetitive electronics and flat song construction. I will be the first one to admit that I haven’t really enjoyed much that has come of this band since Transatlanticism, but they always had at least one song per album that was the Death Cab of old (Cath comes to mind). None of it is offensive, yet none of it is interesting. This sounds like an album you would take bits and pieces from and slap them in a commercial….see “You Are A Tourist”. Bon Iver – Bon Iver 8.0/10 Just a few notes into opener “Perth” and you will understand that Bon Iver has not rehashed the sound their debut record, instead they have expanded and even perked up their sound. Touches of horns and a good amount of electric guitar paint a much more upbeat landscape. “Holocene” and “Towers” are the albums two strongest tracks and still contain a fair amount of the sadness and strain of the debut yet feel fresh and with a brighter outlook. He saves a mighty curveball for the last track Beth/Rest which opens with a 80’s style keyboard line………yes I do mean 80’s. This album isn’t as memorable as the debut but is a solid follow up. Vast Aire – OX 2010: A Street Odyssey 7.0/10 3 years seems like a decade when you are waiting for a new Vast Aire album. This former Cannibal Ox frontman has released 2 of the stronger hip hop albums of the last ten years. His trademark growl and pop cultural dropping lyrics are fully intact on this record referencing the movie “Big” and Bernie Madoff. What is missing are some of the sick beats that kept me hooked on his previous 2 albums. The guest vocalist also are a little set back from Vast’s strong flow. “I Don’t Care” is the strongest track but is followed by a few duds which keeps this album from the greatness of his other work. “Merry Go Round” is another that comes close to the old Vast sound and a strong track. 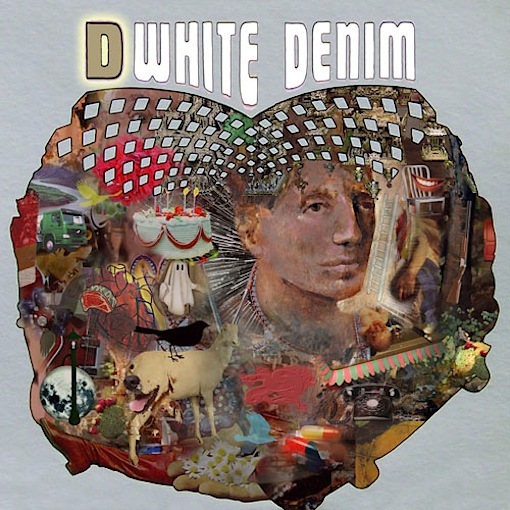 White Denim – D 8.0/10 It seems like this “constantly flying just under the radar” band has a new album out every few weeks. This is their 4th album since 2008 and they have had 3 eps on top of that, so their output has been pretty impressive. With each succsessive album, the band has tightened up the hooks and grooves and have become a rock band force to be reckoned with. With a bit of 70’s haze vibe mixed in, they assault you with a 4 piece barrage of rock and roll. Instrumental tracks such as “Back At The Farm” pummel you and yet plant a little ear worm in your head. They may be anchored with solid bass and drums who seem to be in lock step, but the true highlight is guitarist/singer James Petralli and his hooks (see “Drug” and “Anvil Everything”. These guys keep getting better and better. 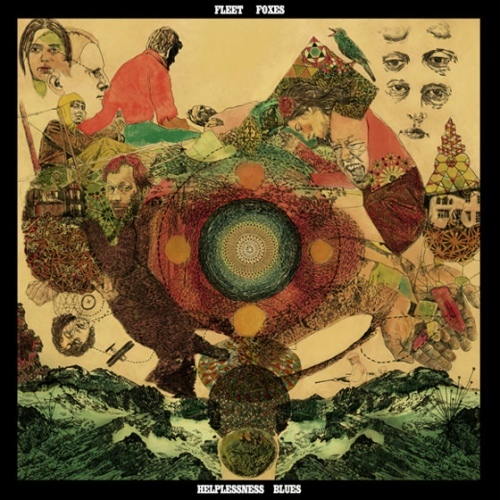 Fleet Foxes – Helplessness Blues 9.0/10 A three year span between their debut record and this one provided us a stronger more confident group who’s soaring harmonies and lush sound have come to define them. Instead of filling every vocal line with a harmony, they seem more calculated and better utilized. The songs themselves still sound distinctly Fleet Foxes, a retro folk, finger picking vibe with upbeat choruses and lush instrumental overdubs. This record sounds like a growing band that is the best at what they do, but who are not quite satisfied with doing the same old records. What is great is that you feel like you are listening to a track that could have been on Led Zeppelin IV (see “Sim Sala Bim) yet it comes across as an homage not a rip off. “Montezuma”, “Helplessnes Blues” and “Grown Ocean” are great entry points for this record and show you the kind of greatness that you will be diving in to. Toad The Wet Sprocket – All You Want – 9.0/10 Toad The Wet Sprocket decided that they would re-record 11 of their greatest hits and that notion didn’t exactly bring out excitement from me. The thought of hearing a band 15 years removed from their hay day essentially putting out a cover record of their own tunes had me very wary because of how much I valued the original versions of the tunes. All You Want caught me completely by surprise because they didn’t sound like a tired old band, they sounded like a confident cleaned up band who wrote some amazing tunes. 90’s pop rock never sounded so good as the new versions of “Crazy Life”, “Windmills” and “All I Want” far surpass the original recordings…….Yes you read that right. Glen Phillips voice is strong as ever and the songs are a lot more balanced with new harmonies and overdubs. This is a great entry point for any potential “new” Toad fans. Girls Names – Dead To Me 5.5/10 I would be the last person in the world to tell you that we need another throwback garage band playing four chord songs all in a surf style. Guitars with reverb drenched high end and methodical/predictable drums and very monotonous vocals, yep it is like i have heard this same formula over and over again. None of the songs are bad by any means and they are much more tolerable in their sub four minute length, I just find myself mostly checked out of listening by track number three because it all sounds like one big wash. How do you differentiate this band from the 100’s of other bands doing the exact same thing? Antlers – Burst Apart 7.5/10 The Antlers latest is “pretty good” at just about everything that it attempts. The biggest problem is the semi-lumbering pace that it goes about doing it. Splattered with falsetto vocals and an occasional “rock” moment (Parentheses, Every Night My Teeth Are Falling Out), Burst Apart is like an airplane that never takes off from the run way. Instead choosing to get up to lift off speed and remaining on the ground rather than taking flight. You get a “wow this is almost exciting” feeling for most of the record, but never feel too thrilled. I can say that they did a great job crafting some interesting tunes, I just don’t find myself coming back to them very often.